Don’t you love how I always try to guess what you’re thinking? Life and vacation kept me busy over the holidays, so it was difficult to find time to blog. But, I promise you that I was kind. I opened the doors for strangers. I picked up an old lady’s cookie after she dropped on the ground. She refused to eat it, but I encouraged her to remember the five second rule. And noted that it rained earlier so the ground was probably clean. She still didn’t eat the cookie. And yes, I thought about eating the cookie. I bought healthy snacks for our family on vacation. 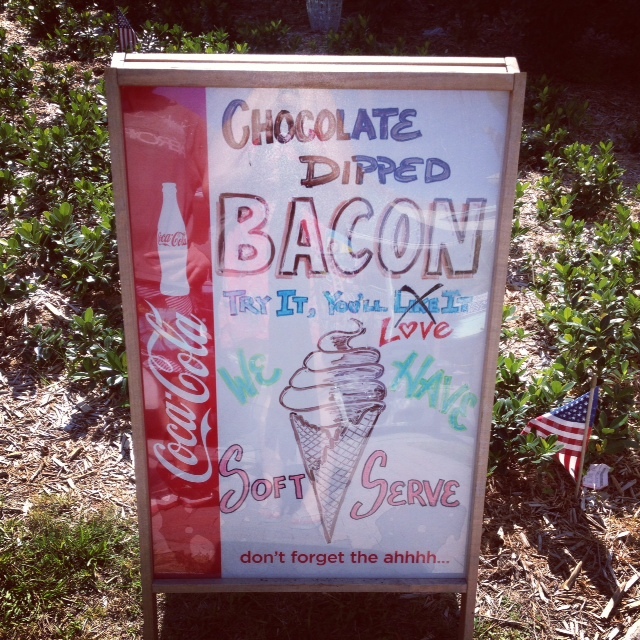 Don’t worry- I also won everyone over by purchasing chocolate covered bacon for us to share. 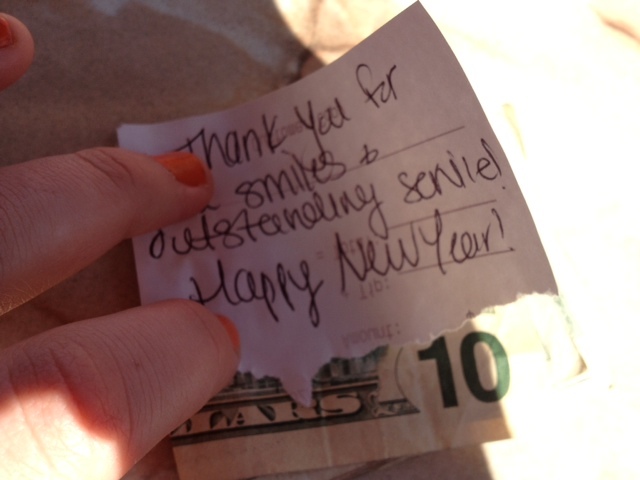 But my favorite random act of kindness happened on New Year’s Eve. Justin and I were having lunch at The Friendly Fishermen. 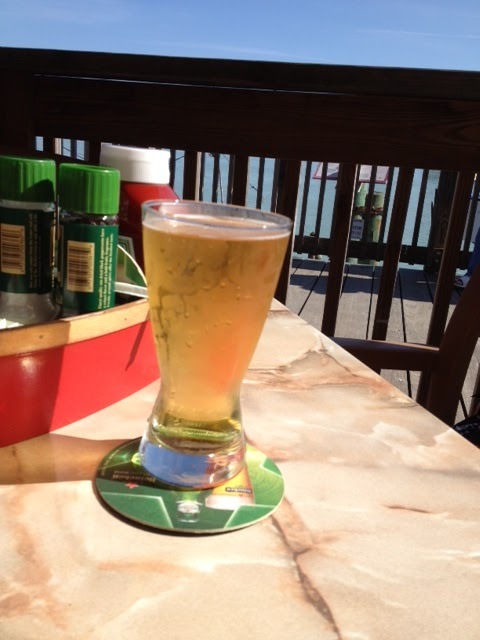 Nothing beats a beer with an ocean view. And ninja birds were stalking us. Look closely. He is standing like a ninja. 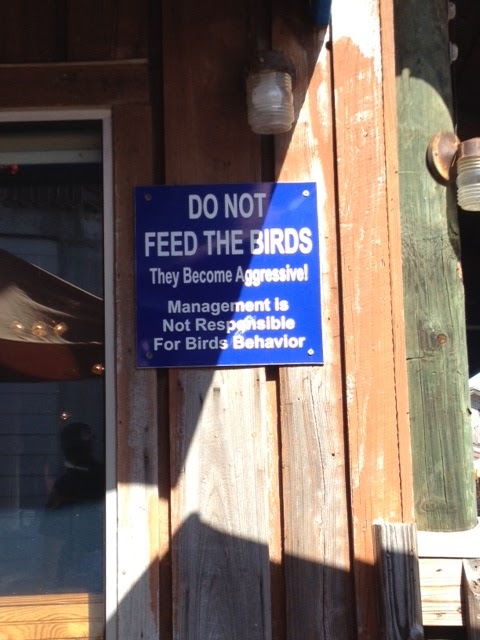 But don’t worry, we did not feed the birds. But we probably wouldn’t have shared our food anyway. Our spread was de-lic-ious. We had raw oysters, a smoked fish spread, mahi mahi nuggets, and a stuffed carb. And the cherry on the sundae was our amazing server. She reminded me of my Grandma Kaye because she made us laugh and smile so much. 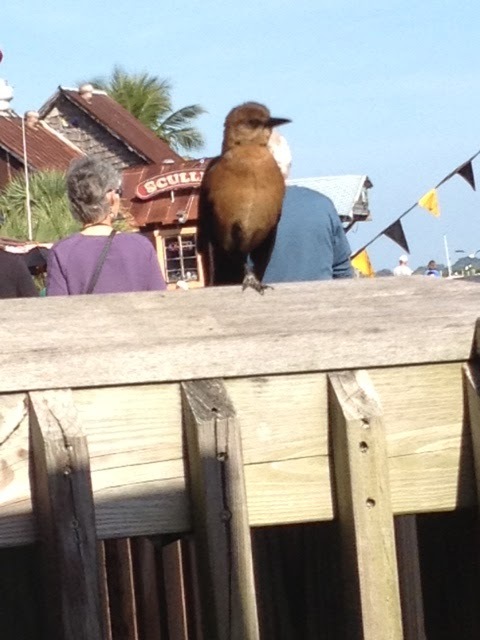 She kept our beers coming, and checked up on us without stalking us like the ninja birds. She was simply a rockstar. And I knew I wanted to surprise her with a generous tip. “You want to leave her a large tip, don’t you?” Justin asked as if he was reading my mind. Of course, I did! And I was positive he felt the same way. So I used some of my Christmas money and left her a $20 dollar tip (about 50% of our bill). Public Service Announcement: Your server probably only makes $2.13 / hour so tip at LEAST 20%!! I snapped this picture before the note and cash nearly blew off the pier. Share your heart with everyone you meet. And tip a few extra dollars when you receive exceptional service. You’ll both be happy you did…. Next Post What is Life All About?